After a one game trip to New York, the Celtics are back at the TD Garden to host the Oklahoma City Thunder. The Thunder are on the final game of a 3 game road trip. This is the second and final game between these two teams this season. The Celtics won 101-95 in Oklahoma City on October 25. The Celtics moved into 4th place, half a game ahead of the Indiana Pacers after their win over the Knicks. But, with the Pacers win over the Wizards on Saturday, they are once again tied with Indiana holding the 4th spot because they hold the tie breaker. The Celtics are 1 game behind the 76ers for 3rd place. They have won their last 3 games and are 8-2 in their last 10. They are 9-9 vs the West and are 21-6 at home. The Thunder are 3rd in the West and have won their last 7 games. They are 3 games behind both Golden State and Denver, who are tied for first place. They are also 8-2 in their last 10 games. They are 16-11 on the road and an impressive 15-4 vs Eastern Conference teams. The Thunder have won 4 of their last 5 games at the TD Garden. They are 12-9 vs the Celtics since moving to OKC. They are 5-6 at home and 7-3 on the road against the Celtics since moving to OKC. They are on a 7 game win streak, which includes winning their last 4 games on the road. After one game with everyone healthy, the Celtics announced that Aron Baynes will miss this game with a foot contusion. They will miss his physical presence against Steven Adams. We may see some Robert Williams, or maybe more Yabusele and Theis. For the Thunder, Andre Roberson (knee) is out. Westbrook is averaging 21.5 points, 10.9 rebounds and 10.9 assists. He has put up 5 straight triple doubles and is a threat to both drive and pull up for a jumper. He is shooting just 24.9% from beyond the arc so he is more dangerous if they let him drive. We may see Smart cover him more on the defensive end. George is averaging 27.6 points, 8 rebounds and 4 assists. Tatum will need to play play solid defense both in the paint and on the perimeter because George is a threat both inside and out and is shooting 41% from beyond the arc. In spite of Westbrook's triple doubles, George is their best player and is much more efficient. Schroder has been playing very well of late and is averaging 15.6 points, 3.4 rebounds and 4.3 assists. He has had some big games against the Celtics and seems to dislike the Celtics so may play extra hard against them. Rozier has struggled when coming off the bench, but the Celtics will need him to play well in this game. Adams is a traditional center and doesn't shoot 3 pointers. He is averaging 15.3 points, 9.9 rebounds and 1.8 assists. He is big and strong and will be a tough matchup for Al. The Celtics will miss Baynes' size and strength against him. We may see more of Yabusele and Theis or we may have a Time Lord sighting. Rebound - Rebounding is very important to winning. The Celtics can't win if they don't have the ball and they need to rebound in order to get extra possessions. The Thunder are a very good rebounding club, pulling down 48.1 rebounds per game. The Celtics are averaging only 45.3 rebounds per game. The Thunder third in 2nd chance points with 14.8 per game and 5th with 52.7 points in the paint. The Celtics will need to put out extra effort and hustle in this game to out-rebound the Thunder. Defense - Defense is always a key to winning. The Celtics will need to defend the perimeter as well as the inside because the Thunder have players who can score both inside and out. The Celtics and Thunder are tied for 2nd with a defensive rating of 104.6. The Thunder are 5th in scoring with 114.5 per game while the Celtics are 13th averaging 112.4 points per game. The Celtics have got to make defense a priority if they want to win this game. Be Aggressive - The Celtics have to be aggressive and fight for loose balls, 50/50 balls, and rebounds, and be aggressive on defense and in going to the hoop. They have to be the more aggressive team and the one that plays harder consistently through the game. They can't afford to back off and let the Thunder out work them. Take Care of the Ball - The Thunder are first in steals with 10.2 per game and are also second in points off turnovers with 20.6 per game. The Celtics have to keep the ball moving and avoid playing hero ball but they also have to make crisp passes and focus on avoiding turnovers and deflections by the Thunder's quick hands. Play 48 Minutes - The Celtics can't afford to have a lull like they do in many games. They have to come out and get a strong start and not let up in the second quarter. They also can't come out and play sluggishly after the half. They have to play hard from the opening tip to the final buzzer. 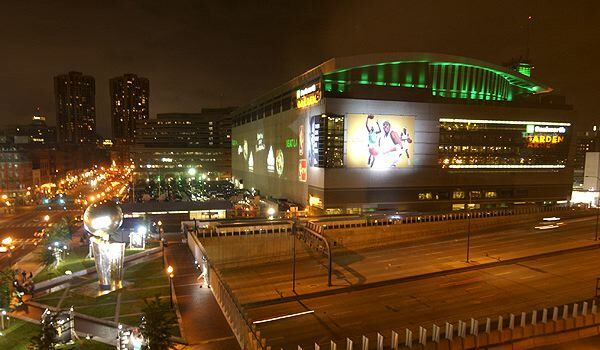 Back Home - The Celtics are playing at home once again. They have struggled on the road but have played well at home with a 21-6 record on the parquet. The Thunder are a good road team with a 16-11 record. They are playing in the final game of a 3 game trip. 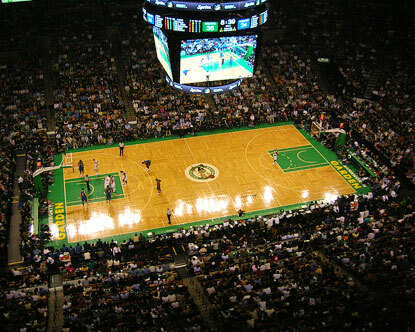 The Celtics need to draw energy from the home crowd and play with heart and hustle. Focus - It's been a rough week with all the rumors and the trade deadline coming up. Players have to be thinking about whether they will be traded or whether they will have the same team back after February 7. They have been playing very well lately and need to continue to focus on playing their game and not worry about what may happen in the future. Also, hopefully their minds are on basketball today and not football. Big game. OKC has been playing very well. Like it has been said in (again) an excellent game preview, the Thunder turn you over. We have to be really careful with the ball and don't overdo our drive-and-kick game, since with their length they cover the passing lanes and initiate fastbreaks. TP to RodyTur10 for being the first to post in the game thread! tp for another great thread FL! GOOOOOOOOOOO CELTICS! Nationally televised game! Is it time to start worrying about Baynes and his inability to stay healthy? He legit hasn’t been healthy for the majority of the games this team has needed him vs big centers. His absence tomorrow is going to be massive. Adams going to just obliterate the Cs in the boards tomorrow. I don’t think Williams can match physically with Adams. A Celtics win against OKC should put the C's in 3rd place. They'll have the same 34-19 record with Philly, but own the tie breaker. Let’s go C’s!!! Gotta win every home game! Go Celtics for the appetizer and follow it up with Let's Go Patriots for the entrée!! A win today will put us in the 3rd spot in the east. Lets go! Also, hopefully the clippers can beat the raptors to put them just 2 losses ahead of us. Shame Baynes not playing , we need him on Aquaman.